Issues: (1) can an employer assert subrogation rights against a third party pursuant to § 48-118 in a case where the employer is a party but they did not initiate the action; (2) does the parent company of an injured person’s employer qualify as a “third person” under § 48-118; (3) does an employer’s insurer waive its right to future credits by including a waiver clause in the policy or by their counsel making statements regarding waiver during settlement negotiations. Facts: Ronald Bacon (Bacon) was injured while working on a construction project as an employee of Davis Erection Co., Inc. (Davis). Davis and its insurer, Liberty Mutual Group (Liberty), began paying lifetime workers’ compensation benefits pursuant to an Owner Controlled Insurance Program (OCIP) issued to Kiewit Construction Co. (Kiewit). Kiewit was the general manager for the project. The OCIP insured the risk of Kiewit and its subcontractors and suppliers, including Davis. 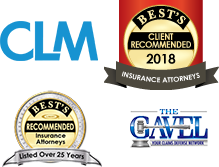 Bacon then brought a separate negligence action against Davis’ parent company, Ridgetop Holdings, Inc. (Ridgetop), and joined Davis and Liberty to the lawsuit for purposes of workers’ compensation subrogation. Ridgetop’s safety director had worked on the project under the supervision of Davis’ project manager, and Bacon alleged Ridgetop was independently liable for the safety director’s negligent acts which contributed to his injury. Bacon also added Kiewit and DBI/SALA as defendants under various theories of liability. Bacon reached a settlement agreement with Ridgetop, after which the trial court granted Davis and Liberty’s motion for future credit pursuant to Neb. Rev. Stat. § 48-118 (Reissue 2010) against its continuing workers’ compensation obligations based on the settlement. The court reasoned that Ridgetop qualified as a “third person” under the statute, as opposed to an employer, and therefore the motion for future credit should be granted. Bacon appealed the order granting the future credit. At issue on appeal was (1) whether Davis, as Bacon’s employer, could assert subrogation rights in a case they did not initiate, (2) whether Ridgetop is a “third person” under § 48-118 and (3) whether Liberty waived its right to a future credit through a waiver clause in the OCIP and/or by statements made by their counsel during settlement negotiations. On appeal, the Nebraska Supreme Court first addressed the issue of whether Davis, as Bacon’s employer, could assert subrogation rights in a case they did not initiate. The court began by reviewing the language of § 48-118, the statute which allows an employer to be subrogated to the rights of its employee when a third person is liable to the employee for an injury. Bacon argued that the language of the statute says “[a]ny recovery by the employer” and argued that since his employer, Davis, had not brought the lawsuit they were not entitled to recovery under § 48-118. 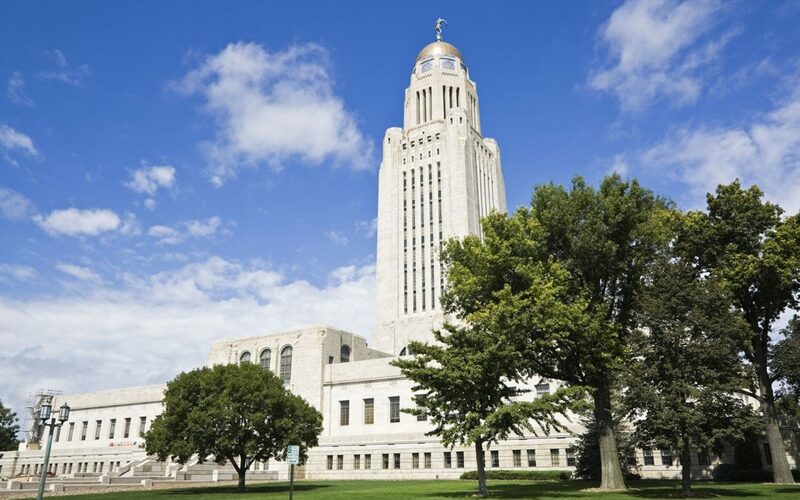 The court reviewed previous Nebraska cases in which the court rejected any distinction between recovery by the employer and recovery by the employee, and affirmed the future credit granted by the trial court. The court reasoned that § 48-118, a provision of the Nebraska Workers’ Compensation Act, was enacted “for the benefit of the employer” and that “[i]nnocent employers who are required to compensate employees for injuries are intentionally granted a measure of relief equivalent to the compensation paid and the expenses incurred, where a third person negligently causes the loss and responds in damages to that extent.” Overall, the court found the language of the statute relied on by Bacon, “recovery by the employer” was trumped by the statute’s more general mandate that the employer shall be subrogated to the rights of the employee against third parties. The court then addressed the second issue, whether Ridgetop is a third person under § 48-118. The court noted that “third person” is not defined by the Nebraska Workers’ Compensation Act. However, in previous holdings the court said that “third person” includes “any person other than the employer or those whom the Workmen’s Compensation Act makes an employer”. The court noted there is a strong presumption that a parent company is not the employer of its subsidiary’s employees, and Bacon was operating under this assumption when he sued Ridgetop as an independent entity that was not subject to workers’ compensation statutes. In addition, the court determined that the involvement of a Ridgetop employee in the work performed by Davis was inconsequential and that Ridgetop was not a coinsured under the policy. Therefore, the court affirmed the trial court determination that Ridgetop was a “third person” within the meaning of § 48-118. Third, the court addressed whether Liberty waived its right to a future credit. On appeal Bacon argued that Liberty waived its right to a future credit through communications with Bacon’s counsel during the settlement negotiations and also through Liberty’s stipulation to the settlement with Ridgetop. The court noted that a carrier’s right to a future credit can be waived as part of a settlement. In addition, the court found that counsel for Liberty communicated with Bacon’s counsel and stated Liberty had no “’recovery’ rights as to any settlement monies from Kiewit or Ridgetop.” Furthermore, Liberty stipulated to the Ridgetop settlement which provided a release of any subrogation claims against Ridgetop. However, in both the communication between counsel and the settlement documents Liberty expressly reserved the right to a future credit under § 48-118. In the alternative Bacon argued that Liberty waived its right to subrogation by including a provision in its policy with Davis which waived rights to recover against all who performed work at the subject project. The court rejected this argument as the policy language relied on was in the OCIP and the Ridgetop was not an organization named in the schedule or in any of the policies under the OCIP. Based on these considerations the court found Liberty did not waive its right to a future credit. Finally, the court addressed the issue of whether the settlement paid on behalf of Kiewit by Liberty and Kiewit’s additional insurer, which was separate from the Ridgetop settlement, should be deducted from the future credit provided Liberty and Davis. The court determined the settlement with Kiewit was not actually “recovered” by Bacon, the employee, due to a prior apportionment agreement, and therefore could not be included in the future credit. Holding: (1) the employer of an injured employee may assert subrogation rights against a third party pursuant to § 48-118 in a case where they are a party but did not initiate the action; (2) the parent company of an injured person’s employer qualifies as a “third person” under § 48-118; (3) including a waiver clause in an OCIP will not affect an insurer’s right of subrogation against any individual or entity that is not a member of the OCIP.